Encourage Music for your youngster! We used to sell these for the little brother or sister whose older sibling was just beginning music in school and renting an instrument. This is a special combo price! 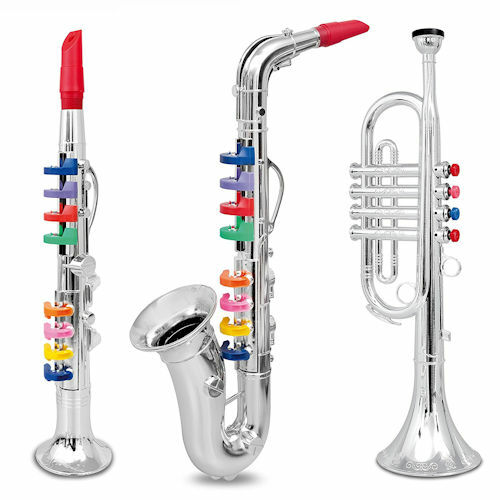 Perfect for a toddler jam with friends, siblings or Mom and Dad, or just enjoying play time with one instrument at a time. Bontempi has been around for a long time affording musical fun for kids. Please scroll downward for further information. Also available as single instrument. Please click here to purchase individually.